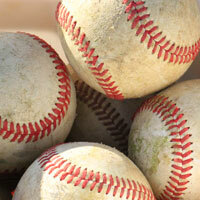 The Northwestern Baseball camp will be run by coaches and players from Emmaus High School. They bring with them a wealth of experience in coaching young athletes. This will provide your child with excellent instruction by coaches who are superior demonstrators. The camp will provide an outstanding training environment for the baseball players. We are using the Church lane complex in conjunction with Lower Macungie Township. Church Lane fields are located on Church Lane in Lower Macungie Township directly behind the Trexlertown Mall. The cost of the camp is $85. Every camp member MUST have their own personal insurance. Also, when registering they must send their application, waiver, and payment. Every participant attending the camp, regardless of their ability, will be taught the correct way to play baseball and softball. A waiver form must be filled out with proof of insurance. If a player is without proof of insurance, he/she will not be allowed to attend the camp. The Baseball Academy has the right to remove players from the camp if deemed necessary. There will be no refunds after June 1.